Will you be able to truly enjoy baby's first weeks? Wouldn't it be great if you could truly savor these first weeks with your newborn baby? Without worrying at all about how she sleeps? Without being utterly sleep deprived? And you should ... these early weeks are too precious to let them go by like that. The Complete Newborn Sleep Guide is my FREE e-book that gives you the right tools to help your newborn sleep well and safely. You'll know exactly what to do to get the most sleep and avoid or react to any newborn sleep problem. 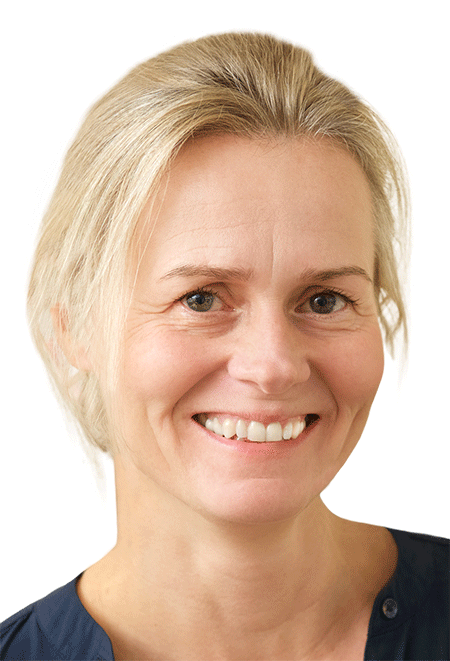 Hi, I'm sleep consultant Heidi Holvoet, founder of this site and award-wining author of several baby & toddler sleep books. In The Complete Newborn Sleep Guide I share all I have learned about newborn sleep in my 10+ years of research and sleep counseling experience. Make no "newbie" mistakes thanks to understanding your baby's sleep (easily explained sleep cycles, day/night rhythms, ...). Knowing how and why is essential to guide your newborn baby to the best possible sleep. Get the most sleep from Day 1 by knowing exactly what to do, and when. The book is a handy manual with easy Key Tasks that avoid "If only I did this and that before ... we might all get some sleep now" in a month or 2. Make the right choices for sleeping (where to sleep, co-sleeping or not) and feeding (breast or formula). These choices make all the difference between sleepless nights and restful ones for the whole family. Protect your baby from injuries and crib death with the key safety guidelines. The Complete Newborn Sleep Guide is a practical in-depth guide. Solve common newborn sleep problems: keep baby (AND you!) sleeping well through common sleep disturbances (waking every hour, acid reflux, colic, gas, sleeping all day but not at night, ...). Keep baby safe and sleeping at best with the detailed DO's and DONT's list. Avoid the worse by reacting timely to possibly serious sleep disorders by knowing what to look for and how to react. What if your baby does not respond to any basic technique to help her sleep better? We cannot just assume that what works for one will work for another ... the uniqueness of each baby is at the core of my sleep parenting approach. That's why we need to fine-tune any technique to fit you and your baby. And that's why you find countless "What if it doesn't work?" boxes throughout the book. These boxes are just as unique as your baby: they give many alternatives and extras ... until we find out what works for you! Proven tips & techniques with key-tasks to get things right from day 1, must-know facts, common newborn sleep problems and rare sleep disorders, do's and dont's plus unique alternatives for your unique baby. 80% of sleep problems can be prevented by parents who "read up"
on sleep during pregnancy's or in the early weeks after birth. and start building those crucial healthy sleeping skills that will last a life time. ... and that's why I offer it absolutely free. Give your baby the best start in life ... the foundation of these all-important sleeping skills will last a healthy lifetime. At the same time, offer yourself plenty of me-time, time and energy for your partner and other family members ... and enjoy your precious new baby to a maximum! My answers to the most often asked questions about newborn babies and sleep. This is the document to keep around as your baby goes through her first weeks in life. You will solve the typical early sleep issues most easily by reacting quickly and correctly as soon as they occur. A smart overview of all safety guidelines, key tasks and best practices for the best sleep for your newborn baby. Must-haves hand-picked and reviewed by me to set up a safe and comfortable sleeping place for your newborn baby. None of the items on this newborn checklist is just luxury - each product has a very precise purpose to help your tiny baby sleep well. E-mail e-publish@baby-sleep-advice.com to request all your free bonuses. Heidi, this is honestly the best advice on newborn sleep I've ever read! Congratulations on the wonderful book. 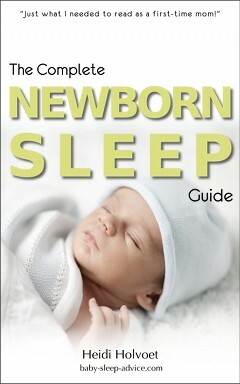 I'd buy "The Complete Newborn Sleep Guide" for all my friends having babies. In fact, I wish I'd had this information when I had my first and it would have helped even with the second and the third. All the important things are here, lots of things I've learned the hard way and some I never managed to figure out and are not included in most baby books, and yet these are the facts every parent should know before their babies are born. I particularly like the 'what if it doesn't work'-boxes, I guess that's something everyone wants to ask when reading advice in a book. This Newborn Sleep Guide provides all you need to know about baby’s sleep - and more – without overwhelming you. When we were expecting our first baby almost 8 years ago, I remember reading up on all I could find about pregnancy, delivery and breastfeeding. But sleep? It had honestly never crossed my mind to read up on that as well. I had accepted the premise that babies sleep a lot, but often not at night – and wans’t that all we needed to know, anyway? My youngest of three is now 14 months, so without boasting, I think I can safely call myself an experienced mom. Three children, three different sleepers. I didn’t have the "Complete Newborn Sleep Guide" back then but there is no question I would have devoured every word, and that it would have been at the top of my bedside table stack of baby literature. Very important too, it offers the gentle arm around the shoulder every parent needs. I was upset. What an insult to my innocent 5-week-old baby. As if she had been lying in the cot thinking: “How can I annoy everyone most? Oh, I know, I’ll cry, and then they’ll have to pick me up.” At those times, the first-time mom in me would have felt supported by this sleep guide. This book is going to be an extraordinary help for a lot of parents, with or without experience. To me this is a wonderful guide that will help parents, experienced or not, to truly understand baby sleep patterns and cycles. It gives an answer to the most common questions and issues that new parents have: breastfeeding, co sleeping, sleep apnea, sleeping position and more. I wish I had read a guide like this nine years ago, when my first child was born, I would have learned why my baby wasn't able to sleep through the night and would have known what to do. It's fun and easy to read. I'll definitely recommend it to my patients and to my friends!